I just BLEW $34.28 more then I ever should have! 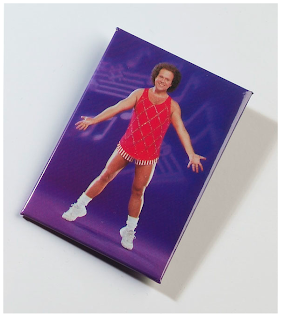 I just spent 34.36 on RICHARD SIMMONS MERCHANDISE!! ITS SOOO GOOD!?! 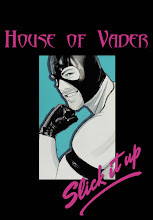 I wanted a t shirt but they all SUCKED OUT. 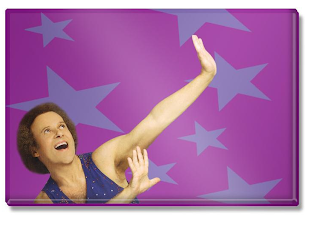 I mean Id SO bust out a RICHARD SIMMONS sleeveless t at David Barton just to make them GAG ON IT but I cant I guess! I bought 2 magnets and a keychain and a button! 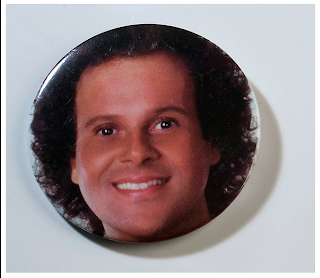 I actually NEED the magnets and the others will make AWESOME GIFTS. I only came across his site because I heard you can pay 10$ and take a CLASS WITH HIM in his studio in BEVERLY HILLS?!?!!! So I looked to see if he would be there, when Im there next month! Im going for the Slick It Up "corporate retreat"! All of us in our S.I.U tees would simply be PUPPETS TRANSFIXED under the STRICT GUIDANCE of Richard! It would be THE BEST!!! I so hope hes there when we are!!! I will take pics!!! He put her merchandise under a flash program so the pics CANT BE STOLEN?!?!...whateves.. so you have to deal with these tiny ones, sorry! My original favorite was the one I call " Bemused reflections..." the blue key chain but now I think its the purple magnet "When stars attack." No t-shirts. I have looked. That just means an excuse to MAKE ONE! One that will give true homage to RS - my hero. I also have his book, Still Hungry. On the back is a picture of him balancing a fork on his nose, smiling with hands fanned out. LOVE HIM! I am $34.28 jealous of you.